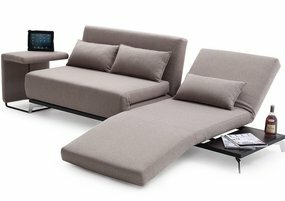 NOVA Interiors – Modern Furniture Store of Boston area is proud to present extraordinary designers’ contemporary sofa beds. Sofa beds are very convenient and handy when you expect your friends or relatives to stay over at your house once in a while. At our contemporary store of European furniture we’ll help to find the dream modern sofa bed just you, according to your taste, style and color preferences. A modern sleeping sofa should serve not only its direct purpose – to sleep and relax on it – but also carry an aesthetic pleasure and emphasize the style of your contemporary living room or guest room. Your guests will be grateful to you!